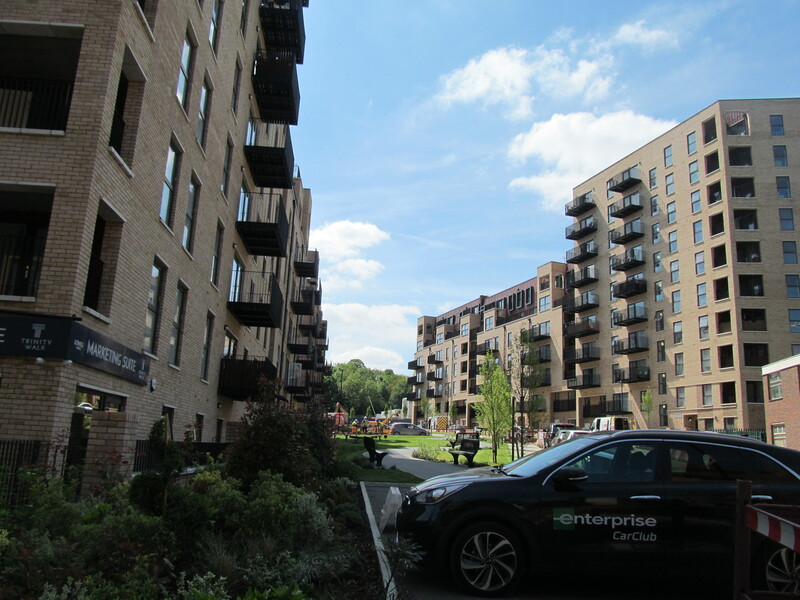 A new estate has been taking shape in Woolwich over recent years as part of the One Woolwich scheme to demolish three estates and replace with 1,600 homes. The scheme has aroused controversy as 1,100 predominantly council homes let at social rent rates are being replaced by 1,600 new homes of which 35% are “affordable” leading to a net reduction. So-called affordable rents can now be at up to 80% of market rents, so not only are there fewer homes to rent below market rates but they are also more expensive. 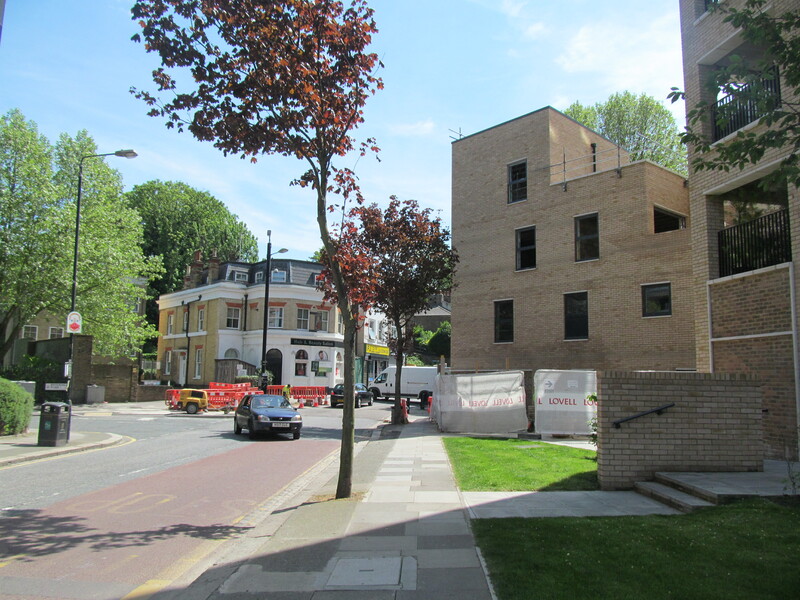 The first of the three to go was the Connaught estate. 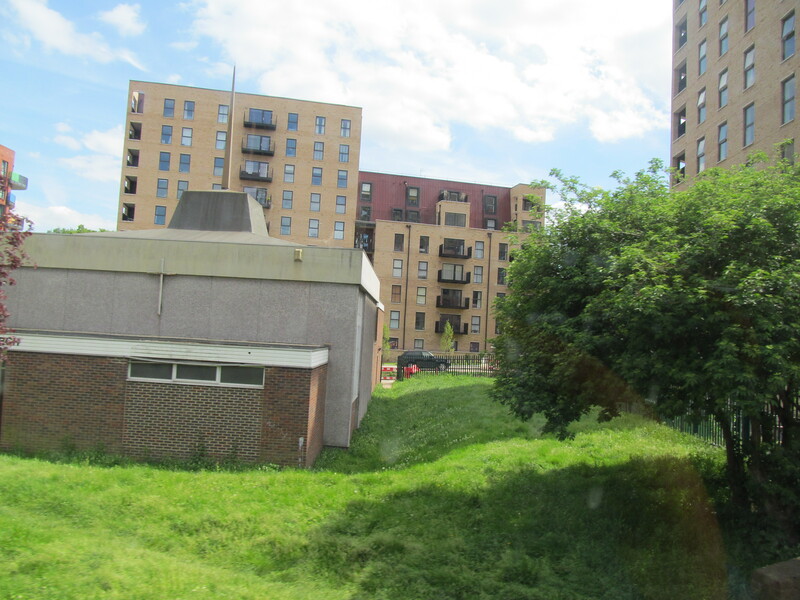 In its place comes Trinity Walk from Lovell Homes and ASRA Housing Association. The first estate to be demolished was Connaught. A central green spine runs through the new estate. Here’s how it looks from Woolwich New Road, with Tesco’s Carbuncle winner seen behind in all it’s grey plastic cladding glory. 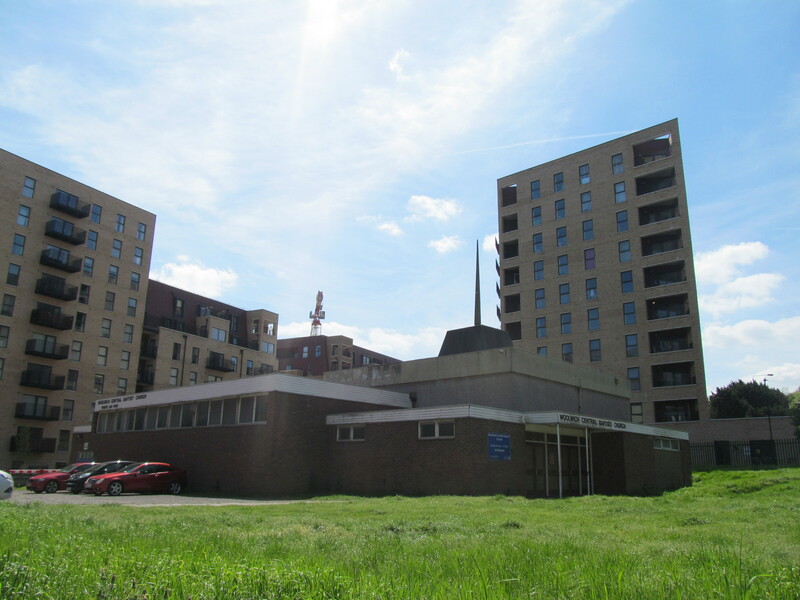 Woolwich Baptist church hangs on at one corner but probably not for much longer. 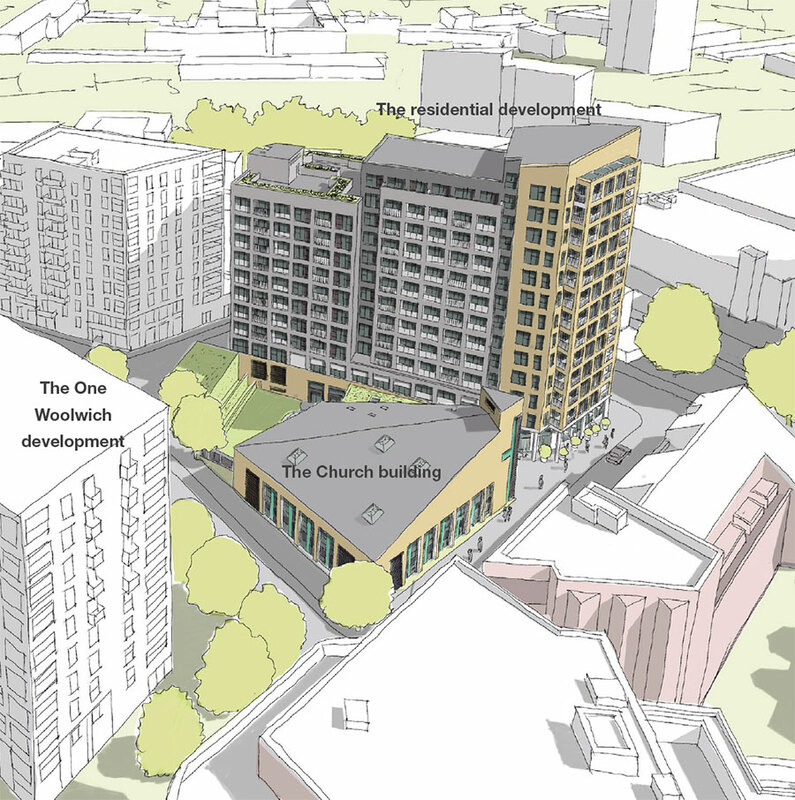 Plans have been submitted to demolish and build a 14-storey block with a replacement church. Taller housing blocks taper down towards Anglesea Road. In the warm afternoon sun this area felt a hell of a lot better than it used to with various trees coming into full bloom. 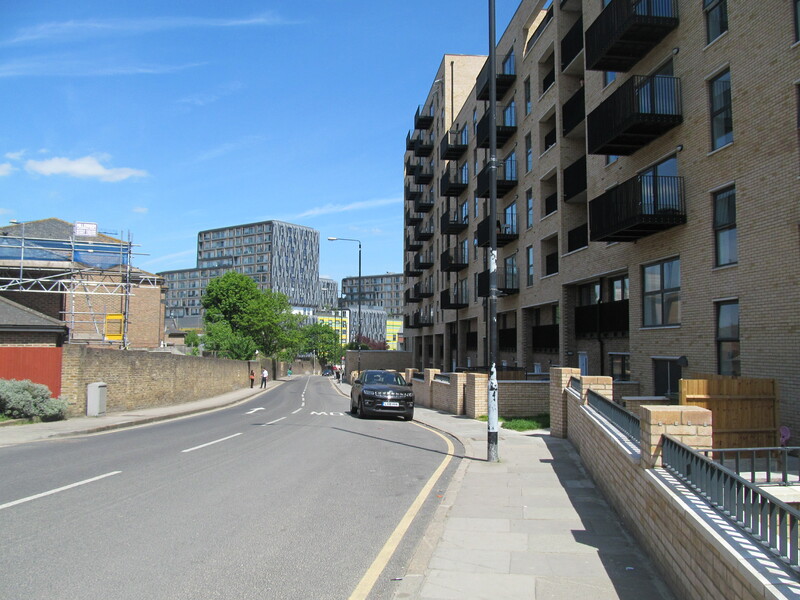 Other estates in the redevelopment scheme include Morris Walk near Woolwich Dockyard station,which has seen residents moving out over recent years, and Maryon Grove near Charlton. There is NO PARKING designated for any of theses flats! In front of one building there is 4 Disabled Parking bays, but no bays for any resident requiring parking for Carers’ vehicles! It’s an absolute nightmare, destined to get worse! One building Percy Eagles has not had two lifts working on a consistent basis, and the same goes for the ‘Security Doors’! The majority of tenants are animals without regard for anything, and the interior of the building is already well on its way to being a stinking piss-smelling, graffiti strewn tenement! The building I am in is plagued with problems that have not been fixed since inception in October. Not least is the problem with the water and heating supply which has failed at least 9 times in those 7 months. Sometimes it is not hot water sometimes it’s no water at all. That affects all the homes built at the same time. I’d also echo the above post about the “security” doors and unreliable lifts. All these comments about parking and social housing tenants are misguided. Everyone knew (before buying) that there would be no parking at this development so why all the complaints about parking now? You live slap bang in the middle of Woolwich and only 6 minutes’ walk to the station, parking’s going to oversubscribed here. And all the complaints about social housing tenants are utterly shameful and despicable. 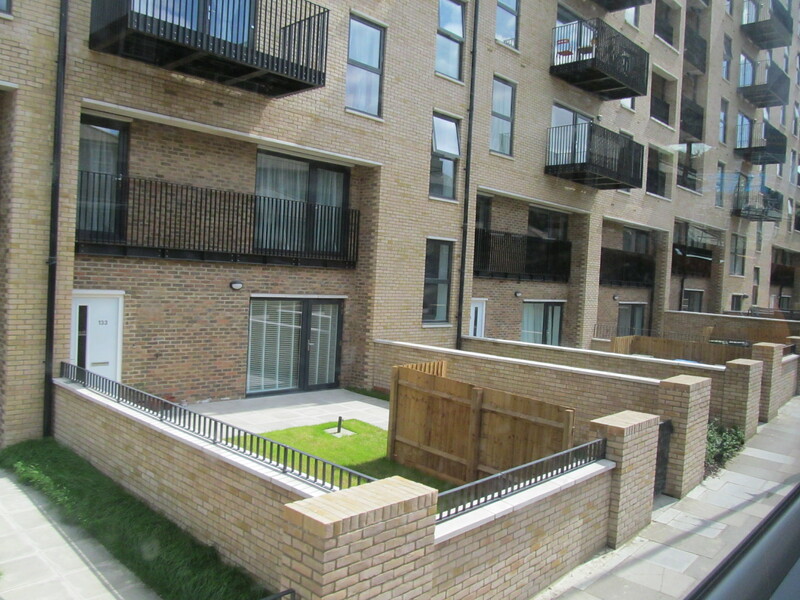 Trinity Walk used to be a council estate and it’s a massive triumph for Greenwich Council that social housing is co-opted into the new development rather than cleansing the whole place of people who don’t earn much. If you feel you’re better than the social tenants then maybe you should take your money to the Royal Arsenal where you can also buy a parking space. What on earth are you going on about? 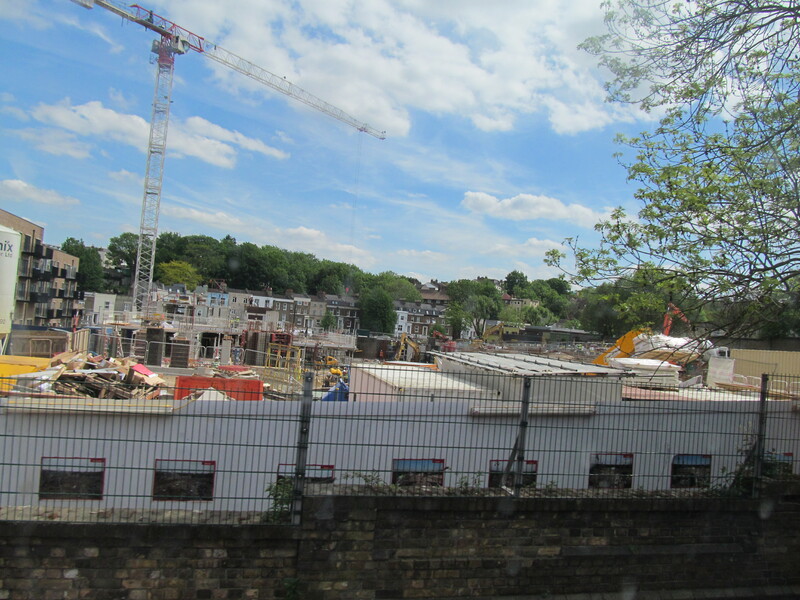 The council are attempting to make the arsenal 70% social housing, this is visibly apprant as someone who lives close by, you can those young professionals being forced out, so you are clearly wrong when you talk about othersbeing misguided. Those who are working are the ones who suffer here. No homes in Woolwich are open unless you are super wealthy or happy to live on benefits. Labour caused this mess and it is shocking to see they are still pushing for more social housing. You’re right to imply medium earning working families are being priced out but you’re wrong to say this is being done by the council providing affordable/council housing. No young professionals are being ‘forced’ out of the Arsenal. In fact it is mostly young professionals who are moving in and buying up these new builds in Woolwich. Moreover, having affordable/council housing on the Trinity Estate or any Estate doesn’t justify calling council tenants ‘animals’ or ‘not the best in society’ as the two comments above suggest.